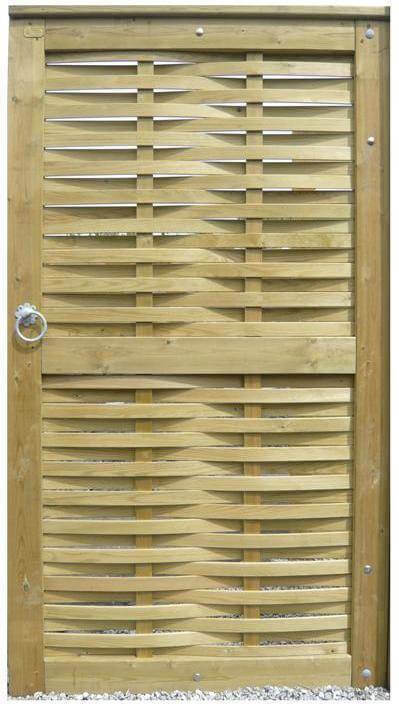 Woven style garden gate set that includes standard square gate posts, latch, hinges and fittings. Matches our Woven fence panels and covered by our unique 25 year Jakcure guarantee. This Woven gate is 1.78m high by 1m wide, right hand hanging.